Pricing for the Ioniq Electric Plus plug-in hybrid will be announced closer to that model's on-sale date in late 2017. Hyundai Canada has set the price for two of three versions of the 2017 Ioniq. The four-door hatchback will eventually be available in Canada with either an all-electric, hybrid or plug-in hybrid powertrain. So far, only the electric and hybrid model have been priced. The Ioniq Hybrid’s MSRP is $26,004 while the Ioniq Electric starts at $37,354. Both prices include destination fees. Pricing for the Ioniq Electric Plus plug-in hybrid will be announced closer to that model’s on-sale date in late 2017. The hybrid model will be available at Hyundai dealers across Canada while the all-electric model will be primarily available at dealers that have installed charging stations and are located in provinces with government purchase incentives, namely Quebec, Ontario, and B.C. It’s an electric rollout similar to that of the Volkswagen e-Golf and the Chevrolet Bolt. Hyundai dealers offering the Ioniq Electric can be identified on Hyundai Canada’s website. The Ioniq Hybrid combines a 1.6-litre gasoline engine with a 32-kW electric motor to improve fuel efficiency. 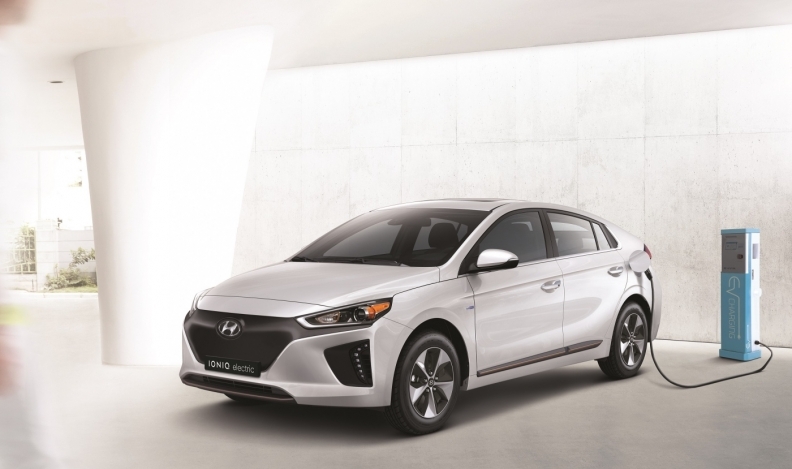 The Ioniq Electric is powered by an 88-kW motor that runs by exclusively using energy stored in the vehicle’s 28-kW lithium-ion polymer battery pack. On a full charge, Ioniq Electric offers up to an estimated 200 km of emission-free driving.